By now those that pledged should have received their incentives in the mail. I understand that one mug arrived in tiny pieces (so sad! ), and I will be replacing it. If you had trouble with your package, please let me know so I can replace it for you - there's a (very) few mugs left here at HQ. Those that pledged for dresses as well, news from the factory is that they should be ready to start shipping in about 2 weeks. First orders will be sent to the backers and the stores that have preordered. The rest will be placed in the online store, as well as re-offered to plus size boutiques who'd expressed interest. Please note: I have non-compete pricing on the website, so you will be paying the same AND supporting small businesses in your area if you get your Cabiria dresses at a boutique near you. I will be telling you who is stocking Cabiria once we ship. 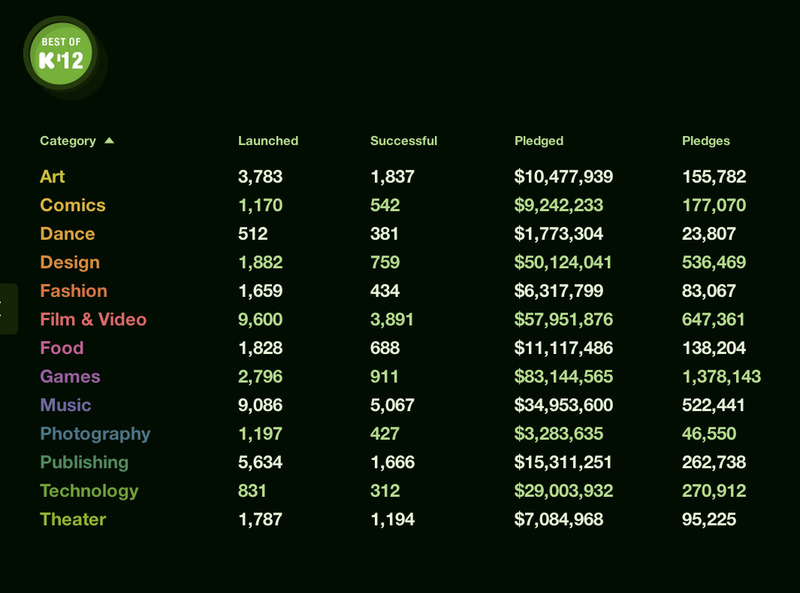 Finally, I want to express my utmost gratitude to those who backed us on the Kickstarter campaign, no matter what level. 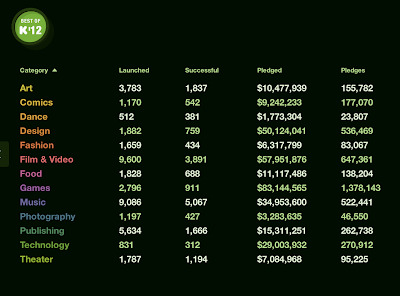 The Best of Kickstarter 2012 numbers are out, and it turns out that Fashion, as a category, is the least funded, with projects only meeting their goals 26% of the time. The fact that you guys believed that we are a worthwhile project, so much so that you made us the Most Successful Plus Size Project EVER on Kickstarter, means even more given this new information. Thanks again so very much, and have a glorious next few weeks. I'll be posting again probably when we go to ship to you. Hooray! Following are two images from Cabiria being manufactured (notice the Cabiria label on the bottom far left of the Flaminia in Tropicalia dresses in the 1st image), and a third image with the astounding numbers from the Best of Kickstarter 2012. You guys made this happen.